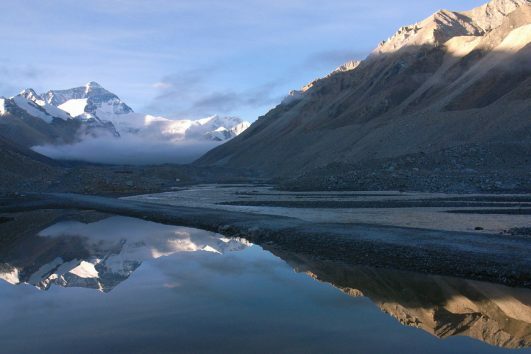 Budget Everest Tour is provided by Tibet Travel Expert. In order to help you save money, we organize Everest Group Tour. And our group size is small from 8 to 12 people. There are two options for you. You can choose 4 Days Everest Group Tour or 8 Days Everest Group Tour from us. This itinerary does not include Lhasa sightseeing. So we will drive from Lhasa to Shigatse on the first day. Then on the second day, we will head to Everest Base Camp passing through Shegar. In Shegar, we will visit Rongphu Monastery, the highest monastery in the world. Then we can trek 4 km from the campsite to Everest Base Camp to see the glorious sunset. On the third day, we will go back to Shigatse for a good rest. And on the fourth day, we will visit Gyantse to see Pelkhor Monastery. On the way back to Lhasa, we can see Karola Glacier and Lake Yamdrok. 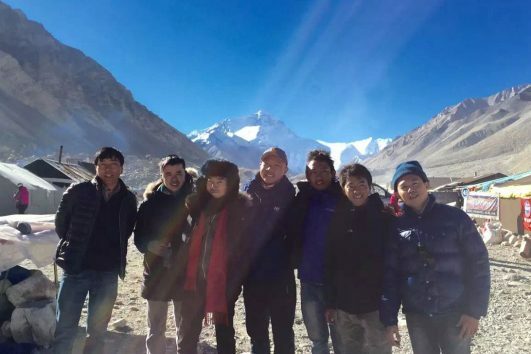 Besides the itinerary of 3 Nights 4 Days Everest Group Tour, 7 Nights 8 Days Everest Group Tour adds the sightseeing the Lhasa. After the first arrival day in Lhasa, the second day we will visit Potala Palace, Jokhang Temple and Barkhor Street. They are all must-see attractions in Lhasa. What’s more, on the third day, we will go to Drepung Monastery and Sera Monastery. So you can feel the religious atmosphere in these Gelugpa Monasteries. Then on the fourth day, we will begin the itinerary of 3 Nights 4 Days Everest Group Tour. Here we are so pleased to announce a more comfortable and safer Tibet group tour to Mt. Everest Base Camp. 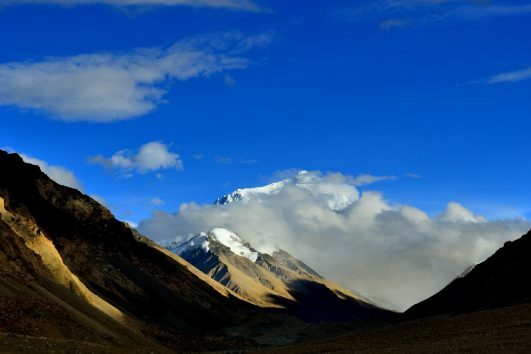 More and more overseas travelers would love to choose more leisured and comfortable Tibet tours which allow you to ascend more slowly and therefore more safely from Lhasa to any higher altitude destinations such as Gyantse, Shigatse, New Tingri and Everest B.C. Welcome to book this 10 Days featured and easier acclimatizing Everest Group Tour. 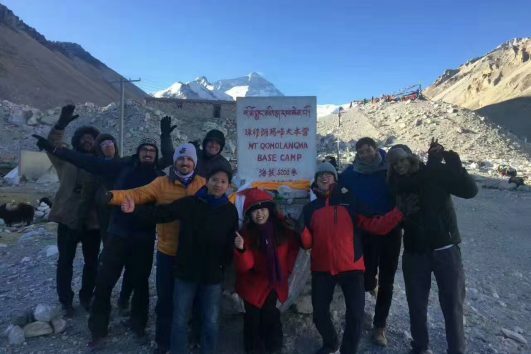 This famous and standard 8 days “Mt.Everest Base Camp group Tour” takes you to visit the Mt. Everest, Lake Yamdrok, Karola Glacier, and authentic Tibetan culture and local village life along the way. Welcome to book the 4 days Everest Group Tour! Attractions: Lake Yamdrok, Karola Glacier, Pelkhor and Tashilhunpo Monastery and Mt. Everest at Base Camp.